The definitive practical handbook on the Cabalistic magic of the Golden Dawn.It leads you step-by-step through the entire body of Cabalistic ritual magic, from the basic building blocks,through simple ceremonial workings, to powerful advanced techniques of energy work and personal transformation. Put the power of Golden Dawn magic to work with dozens of detailed rituals, most of them new. A classic treatise on the occult written in consultation with thelate Israel Regardie. This small book contains all that isrequired to produce a symbolically accurate temple and a full setof instruments for use in the rituals of the Hermetic Order of theGolden Dawn. Full color photographs of the temple and of theinstruments, as well as the precise hieroglyphs appear in thiswork. Instructions are given for the construction of the altar,pillars, Enochian tablets, Rose Cross Lamen, wands, etc. Thedifficult sigils have been worked out completely by the author. 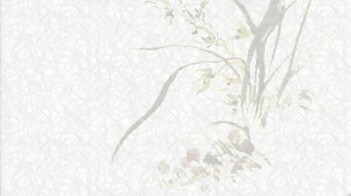 A Complete Curriculum of Study for Both the Solitary Magician and the Working Magical Group. Regardless of your magickal knowledge or background, you can learn and live the Golden Dawn Tradition with the first practical guide to Golden Dawn Initiation. 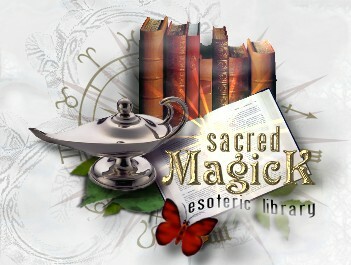 This book offers self paced instruction by the established authorities on this magickal order. For the first time ever, the esoteric rituals of the Golden Dawn are clearly laid out in step by step guidance that's clear and easy to follow. You need no prerequisite for mastering this highly sought-after curriculum. Your learning is enhanced by written examinations. daily rituals, and meditative work. Upon completion of this workbook, you can be a practicing Golden Dawn magician with knowledge of qabalah, astrology, tarot, geomancy, and spiritual alchemy. Become a Golden Dawn magician through the most comprehensive and scientific system on Golden Dawn study. 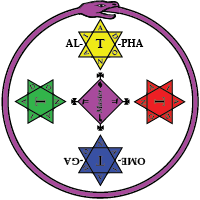 The Essential Golden Dawn The Golden Dawn is one of the most influential and respected systems of magic in the world. Over a century old, the teachings of this once-secret society are considered the capstone of the Western Esoteric Tradition. Yet many of the available books on the subject are too complex or overwhelming for readers just beginning to explore alternative spiritual paths. The Essential Golden Dawn is for those who simply want to find out what the Golden Dawn is and what it has to offer. Written by recognized experts on the topic, this introduction to High Magic is both straightforward and succinct. It explores the origins of Hermeticism and the Western Esoteric Tradition, as well as the rich history of the Golden Dawn and its founders. This guide explains the "laws" of magic and magical philosophy, describes different areas of magical knowledge that a Golden Dawn magician can expect to learn, and presents basic rituals for the novice. This book contains the complete, original Cypher Manuscript of the Hermetic Order of the Golden Dawn in facsimile along with fully annotated decipherment, a detailed synopsis of the text and a fascinating history of the manuscript itself. The author provides a scholarly commentary establishing the considerable value of the Cypher Manuscript and offering an elegant defense of Dr. W. Wynn Westcott's motives and methods in creating the Fraulein Sprengel ruse. Runyon suggests that there may have been a real person behind the Sprengel "Charter Myth". The book goes on to reveal that: The Cypher Manuscript contains the ancient design for a radically different Eleven Sphere Tree of Life. Also included is a never-before-published article written especially for this book by the leading Golden Dawn authority, Robert A. Gilbert, on Dr. Westcott's Cypher Notebook (including facsimiles). These are Westcott's actual notes, taken directly from the cyphers, that he, not MacGregor Mathers, used to develop the Golden Dawn's Outer Order rituals. There have been other versions of the Golden Dawn Cypher Manuscript published but this is the only book that fully examines the mysterious document and actually reveals its secrets. This book is more than a reference tool for magicians, it is a significant commentary on the origins of the Golden Dawn -- and of interest to all thoughtful students of the esoteric.